The Latest Epidemic: iPhone 7 Audio IC Boot Loop — PhoneDoc - Louisiana's Most Trusted Mobile Repair shop - iPhone, Samsung, Android, Tablets, and More! Early symptoms include all types of audio-related problems, such as the speaker icon being greyed out during calls and the record button unavailable in Voice Memos. 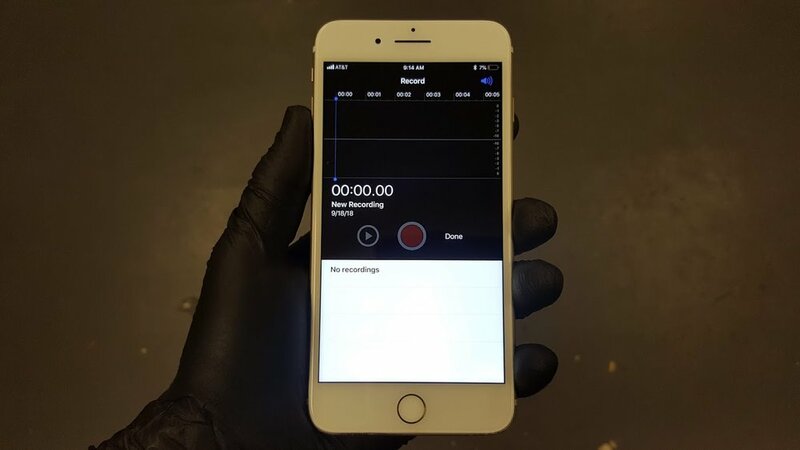 As the problem progresses, users may experience extreme system lag from the touchscreen, and the phone may take a LONG time to restart... anywhere from 5 to 20 minutes, if it ever boots past the Apple logo. In this state, the home button will still cause a 'click' vibration from the taptic engine even while the phone does not appear to be fully booted. The cause is similar - almost identical - to the cause behind the infamous Touch Disease which plagued so many iPhone 6 Pluses. The Audio Codec IC is located just above the SIM tray, which is a weak point in the frame of the phone. As the device undergoes normal wear and tear, twisting and bending in your pocket, the the logic board within will twist and flex with the housing. This causes tiny surface traces underneath the chip to work their way loose, until eventually the data line to this chip is compromised to the point where electrons can no longer flow. Once this data line is severed, the symptoms will be permanent. The only viable repair is to remove the chip and install tiny jumpers underneath it to reinforce these surface traces. Once repaired in this fashion, the issue will no longer present itself and the phone should be relatively future-proof to this failure. Unfortunately, the Audio IC is not the only chip affected. The Baseband CPU and its power supply (responsible for all cellular communications) are both located in the same area, and both can experience similar issues due to the bending and flexing of the logic board. This is the chip responsible for nearly all audio functions of the iPhone. Step 2: Install micro-jumpers to restore the data connection to any loose pads. This pad, labeled C12, is the most important connection for the Audio IC’s functionality. Jumpers have been installed to every loose pad. Step 3: Re-Ball the Audio IC. This chip is connected to the logic board by a Ball Grid Array (BGA) - which is a uniform pattern of tiny solder balls. Step 4: Re-solder the chip to the repaired surface. While Apple has issued a limited recall for certain sub-models experiencing baseband-related problems, there has been no public acknowledgement of the Audio issue. Every version of the iPhone 7 is equally likely to suffer Audio IC and Baseband IC failures at some point in time. The repair community is continuing to apply pressure for Apple to extend the recall or otherwise offer warranty replacements for any devices affected by these issues. PhoneDoc is equipped to handle all of these repairs. 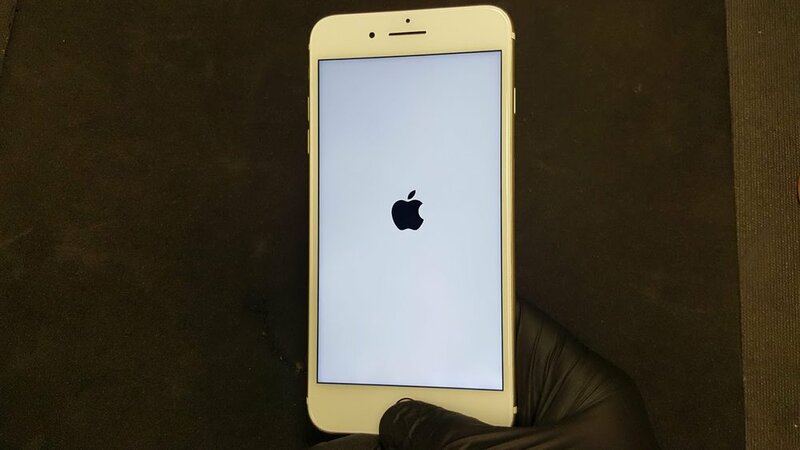 We are servicing several iPhone 7 and 7 Plus models with Audio IC failure every week, and also continue to repair 6 Plus devices with Touch Disease on a regular basis. If your local shop does not offer micro soldering repair services, have them get in touch with us to set up mail-in services. Several reputable companies around the region have partnered with PhoneDoc to better serve their customers. Our goal is to make this type of repair affordable, effective, and available to everyone who needs it. Older PostPhoneDoc TV - Now streaming on YouTube and Twitch!